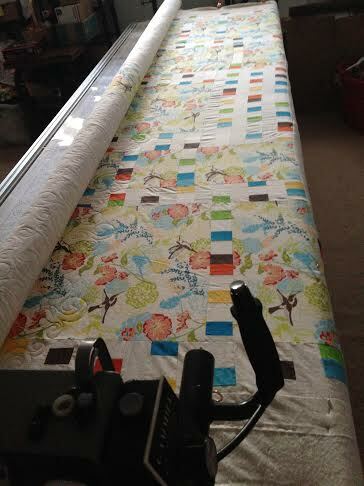 This is the largest quilt top I’ve ever loaded onto my Gammill long arm quilting machine. My machine is self-guided, not electronic, which means that I guide the machine and walk it along the 14′ table as it’s stitching, using a laser to follow the pattern. 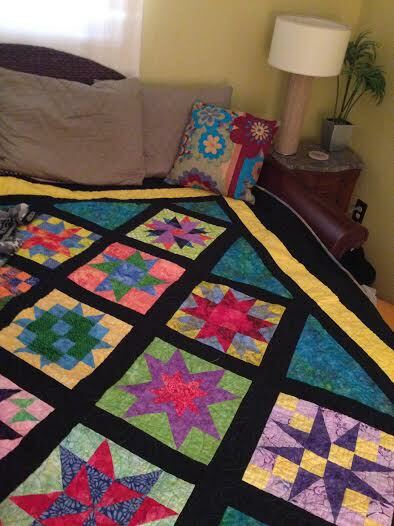 My customer worked on piecing this 10′ x 10′ quilt top for almost two years and then chose one of my more complicated patterns for the quilting. I’ll post a picture of the finished quilt in a few days. A history of carpal tunnel in both wrists and rotator cuff surgery has slowed me down a bit, but this puppy is gonna be done by next week ’cause I’m heading to Atlanta then a road trip to my cottage in Michigan for some R & R! 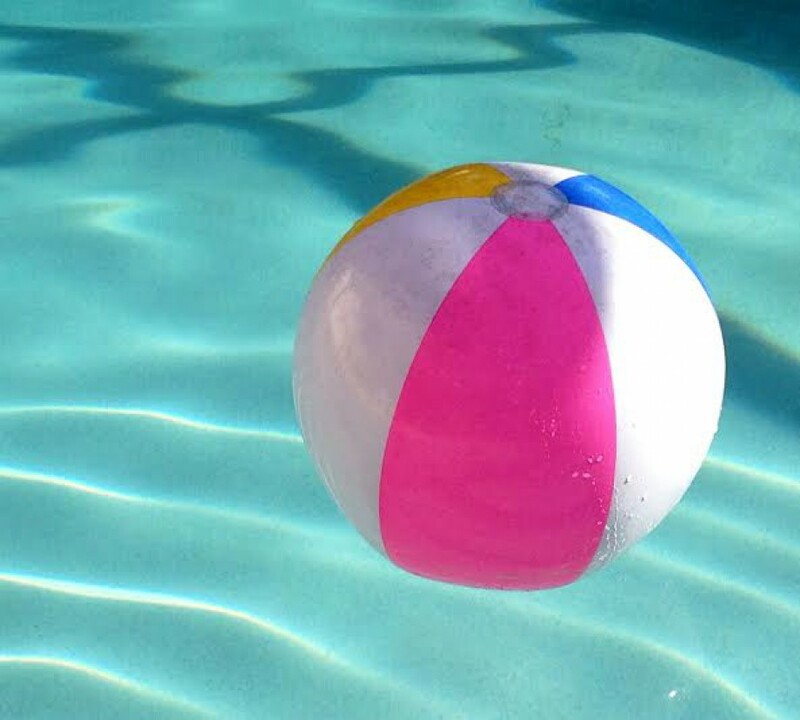 In response to The Daily Post’s writing prompt: “Three Perfect Shots. Take a subject you’re familiar with and imagine it as three photos in a sequence. Tackle the subject by describing those three shots. How to make a quilt in three perfect shots … well, not exactly perfect shots. 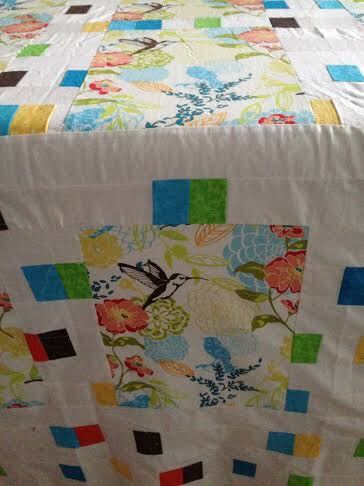 I used photos of three different quilts because each is in a different stage of development, but you’ll get the idea. First you take several beautiful, very expensive, perfectly good, 100% cotton quilting fabrics and cut them into little pieces. Then you sew the pieces back together to form a pattern. This is your quilt top. Take a large piece of fabric for the back of your quilt, place batting on top of the backing fabric and place your quilt top on the batting. 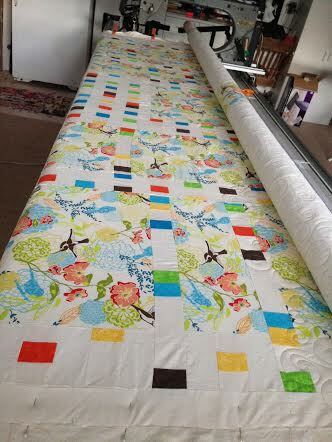 This is your quilt “sandwich” that is now ready to quilt. 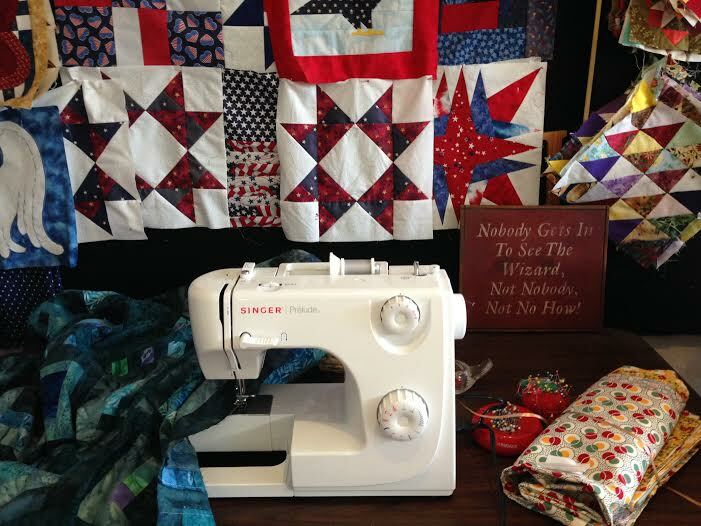 Quilting can be done by hand (think quilting bees), by a regular domestic sewing machine or by a long-arm machine. I am fortunate to have a Gammill longarm machine. 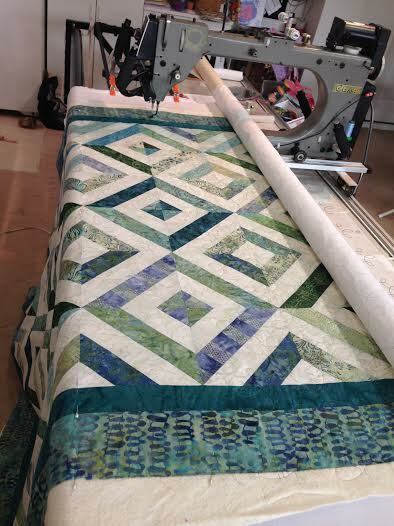 My Gammill is not electronic so, yes folks, I hand guide that large machine back and forth sewing a thread pattern into the quilt sandwich. This is what holds the three pieces of fabric together to form a quilt. 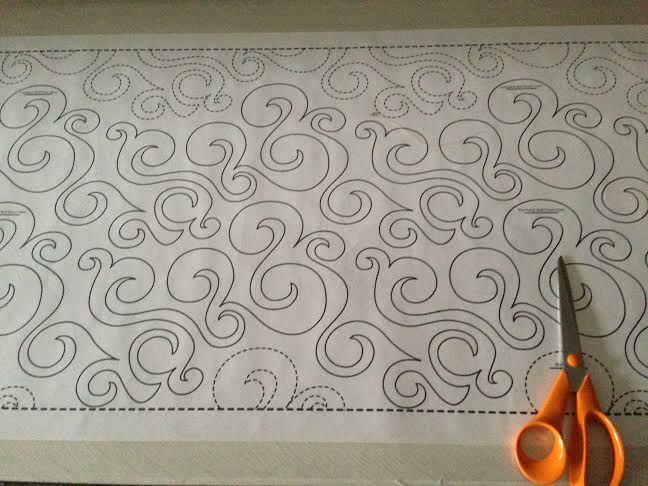 After quilting, sew on the binding around the edges to finish the quilt. There’s nothing like sleeping with a hand-made quilt … sweet dreams guaranteed. 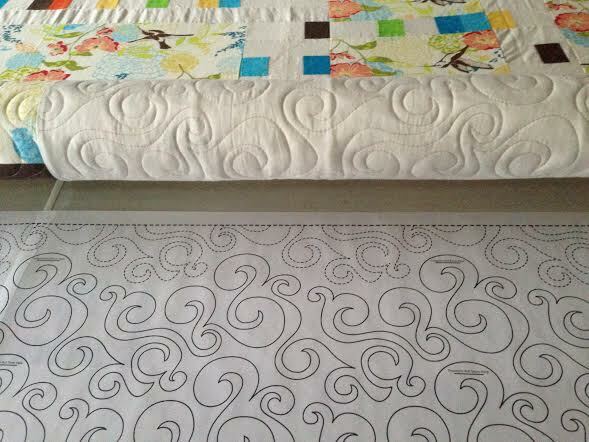 Quilts are made with love. Sweet dreams guaranteed!